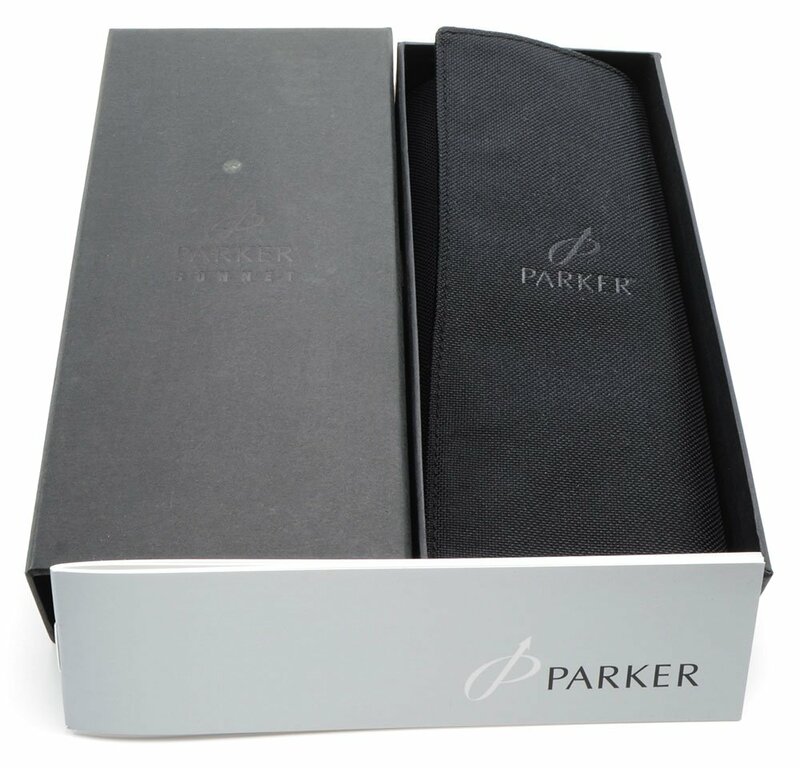 Parker Sonnet in the Chiselled Chocolate pattern. 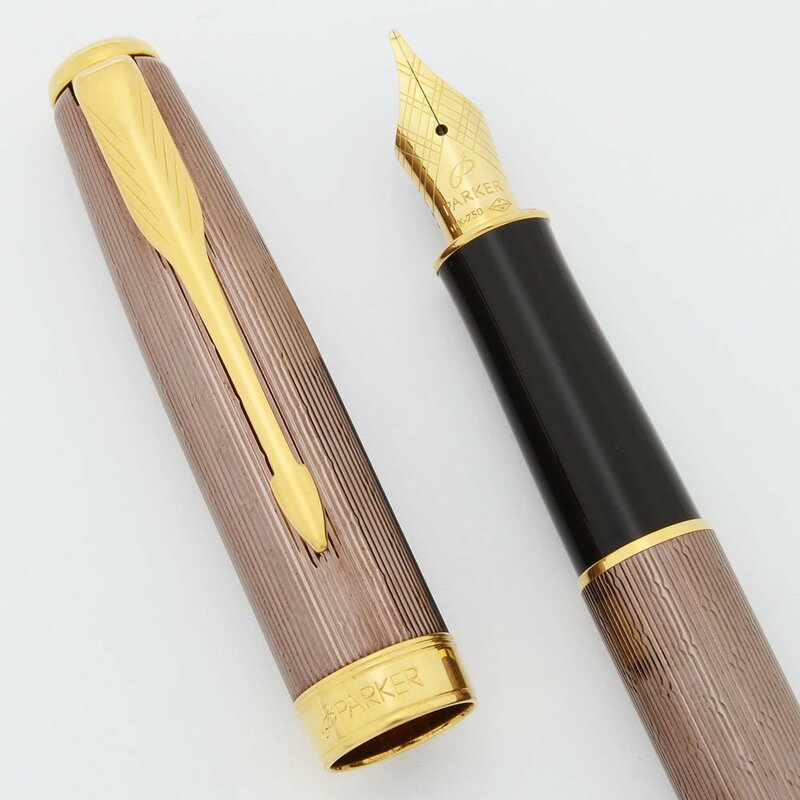 The fountain pen has an 18k medium nib. Excellent + condition, in box with paperwork. Filling System Fills via Parker cartridges or the included piston converter. There is an ink cartridge in the pen holder. Color "Chiselled Chocolate" pattern -- Metallic lines and diamonds pattern with a light brown coloring. The photographed color is accurate but looks dark because the reflective properties don't photograph well. It's feels bright in hand. The trim is gold plated. Nib Medium 18k nib. The feed is labeled M for medium. The nib is very smooth and springy. 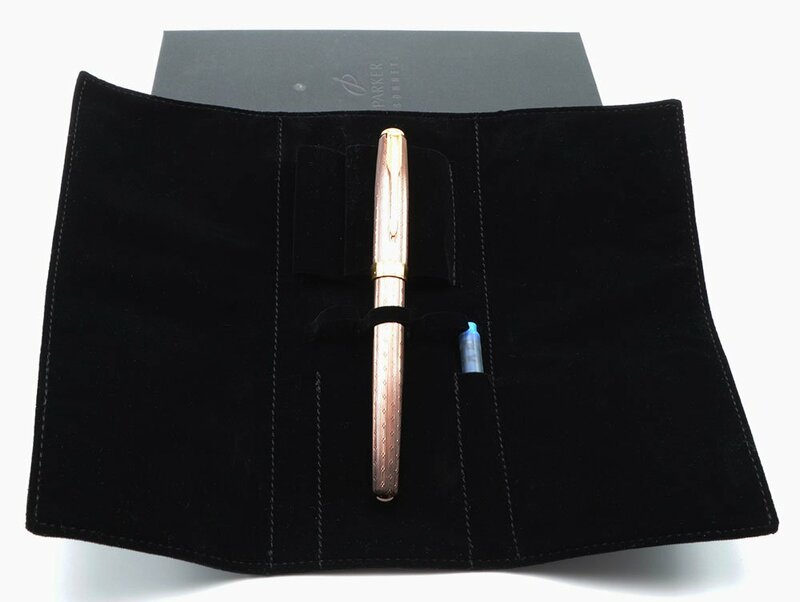 Condition Excellent + condition for this sparkly, beautiful pen that comes in its original black cloth and velveteen pen holder within a black box, including paperwork. The barrel and cap look perfect with a completely even finish and pattern. The seam lines on the section are visible (don't mistake these for flaws). The clip has some light scratching. The imprints are clear. There are no cracks, chips, dents, dings, or major scratches.